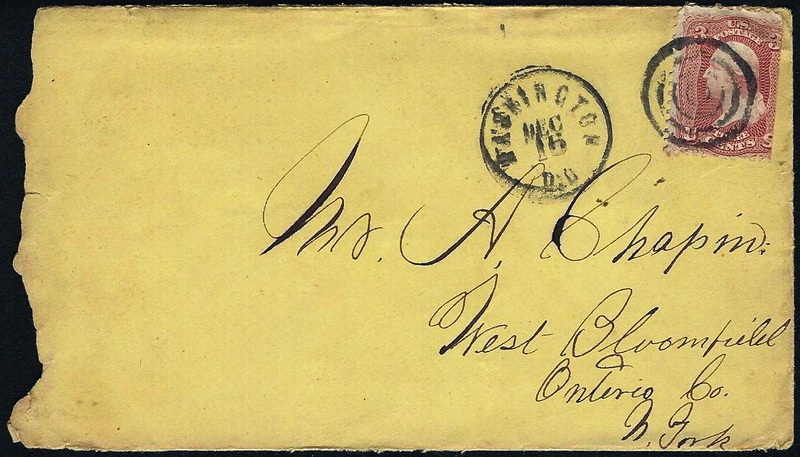 This letter was written by Private Erastus Asa Chapin (1844-1923), the son of Rev. Asa Chapin (1802-1890) and Cordelia Simmons (1804-1897). Records indicate that Erastus had blue eyes, brown hair, and a fair complexion. He stood 5 feet 11 inches tall when he enlisted at Avon in September 1864 at the age of twenty in Battery L, First New York Artillery. He was discharged from service in June 1865. After the war, Erastus returned to farming in Ontario County, New York. He also became the assessor and overseer of the poor. In 1872, he married Frances C. Gerry. In this first letter, Pvt. Chapin informs his brother, Robert Simmons Chapin (1830-1907) of West Bloomfield, that he has just arrived at City Point and hopes to soon join his battery. 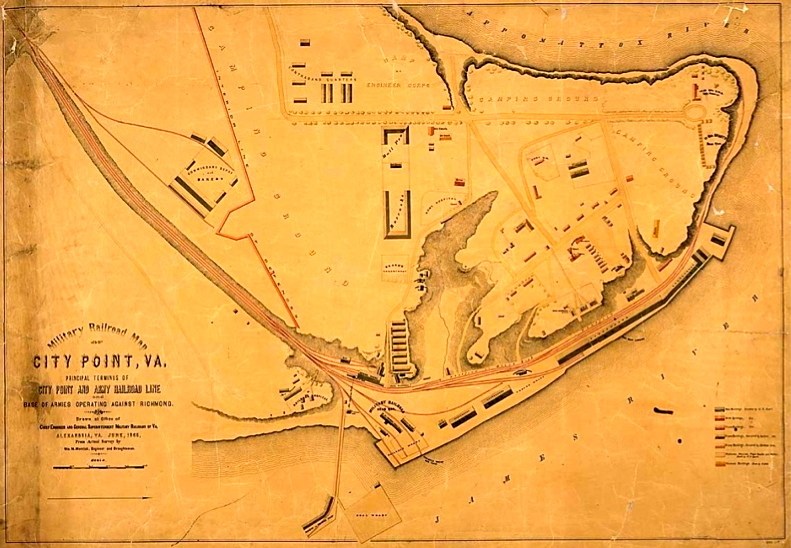 He describes the journey and the myriad of activities at the busy wharf and depot where Grant’s army is being supplied as it encircles the entrenched Rebel stronghold of Petersburg. 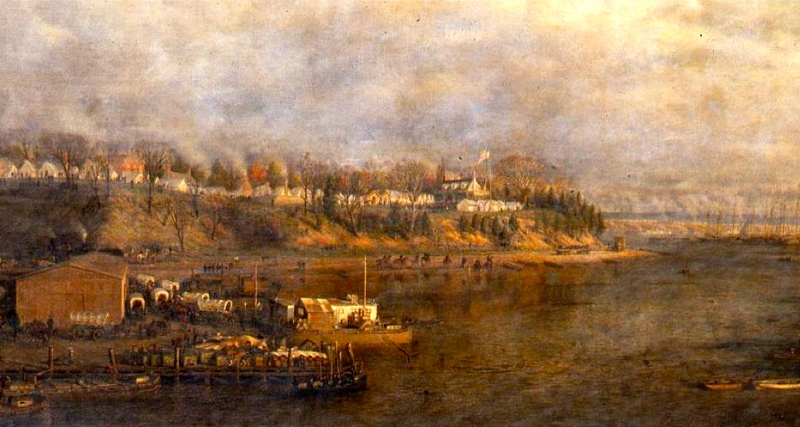 Chapin’s arrival at City Point was in the midst of Grant’s initiative to carry out simultaneous attacks against both flanks of Lee’s army (see battles of Chaffin’s Farm and Peeble’s Farm). We arrived at this place about noon. Were treated to dinner of coffee, salt pork, & hard tack. I could go all but the pork but couldn’t see that. They gave us our liberty for a hour or two, then we were drove into a yard like a flock of sheep — or hogs rather — where there wasn’t any water except what is drawn in in barrels & that is water out of the Appomattox [River]. I have slept outdoors two nights — one on the boat & last night here. We had a splendid trip coming down but we are catching it now. The pro[vost] marshal says he thinks we shall leave today for our regiments. We should have gone right on had not Gen. Grant sent word that that he was about to move & not to send any troops till ordered. We heard firing in the direction of Petersburg last evening — a report at about every second. We are about sixteen miles from the front. I shall be glad when we get away from here as I am not used to being treated as a hog. But never mind, every dog has to have his day. There are rebs penned up both sides from us. On our trip down, we stopped at Fortress Monroe, Newport News, & Wilson’s Landing. Saw the wreck of the [USS] Cumberland which was sunk by the Merrimack [CSS Virginia] & any quantities of oyster beds. I am seated right in the hot sun writing on my lap. It is about as hot here as it was when we were cutting oats. As quick as I get to the regiment, I will let you know & then you must all write to me & let me know how you are getting along. How does Ben Hopkins make it go singing alone? I caught a little cold coming down to Baltimore but have got about over it. Don’t feel it any except nights & mornings. It is what I call pretty hard-looking country here. The soil is a reddish kind of sand. All the boys have got separated from me except Will Sheldon ¹ & Bill Cooper. ² Charley Lewis ³ was left at Elmira [New York]. One month of my year has gone & I have seen more already than I should have seen staying at home twenty years. I have not had a drink of good water since I left Avon. Their water is all brackish & not very cold, but we have good water here if they would only let us out to get it but they won’t do that thing or bring it to us either because river water is easier got. But if I get through my year as well as I have this month, I shan’t grumble a great deal. You may depend on that. I have not been homesick at all except that night when I got at Elmira. I then wished I was at home but got over it in a little while. There is a lot of men here — I could not make any estimate as I have not been around enough to know. There must be two or three thousand in this yard & it is not much bigger than our farm yard would be if the barn was taken out. It may be some longer but no wider. They are digging a well on the grounds but it will do me no good unless I stay here a great deal longer than I expect to. Am in hopes they will send us off today. If the rebs could get this place, they would get a big haul as there are a great amount of stores here & they are building another great storehouse just east of us. ¹ William F. Sheldon —Age, 21 years. 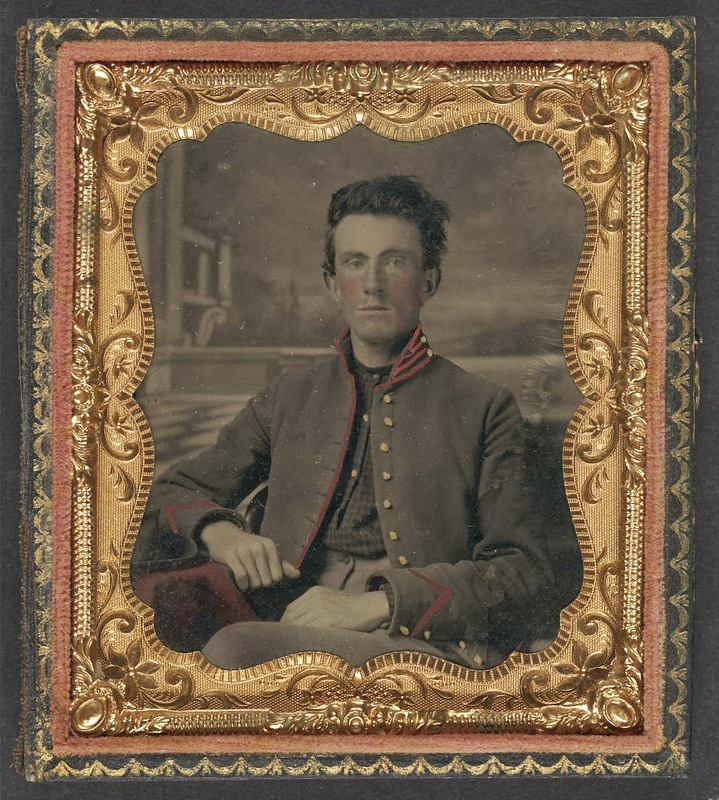 Enlisted, September 1, 1861, at Bloomfield; mustered in as private, Battery L, September 1, 1864, to serve one year; died of disease, February 5, 1865, ait Baltimore, Md. ² William Cooper —Age 27 years. Enlisted, September 1, 1864, at Avon; mustered in as private, Battery L , September 1, 1864,to serve one year; mustered out with battery, June17,1865, at Elmira, N. Y. ³ Charles L. Lewis —Age, 33 years. Enlisted, September 1, 1864, at Avon; mustered in as private, Battery L, September 1, 1864, to serve one year; mustered out with battery, June 17, 1865, at Elmira, N.Y. 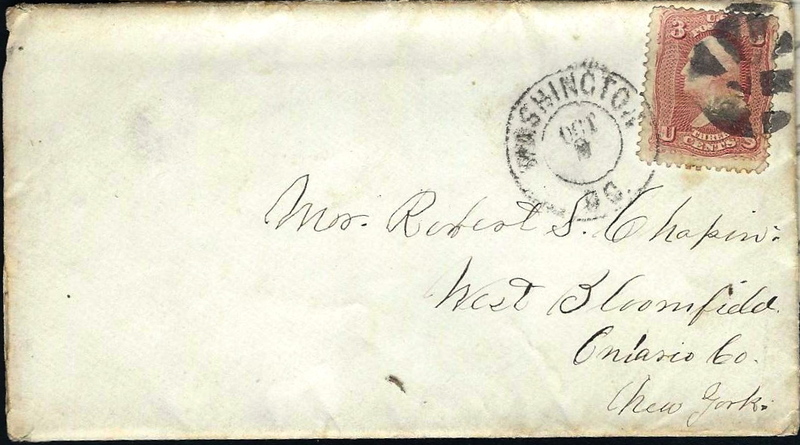 This second letter was written in mid December 1864 from Fort Keene — one in a line of earthen forts constructed near Petersburg, Virginia. The 3 year term of service for many of the men in this unit was coming to a close and new recruits were being brought in to take their places. Erastus mentions that he has heard a rumor of the engagement of his sister, Cordelia A. Chapin (1834-Aft1900). This proved to be only a rumor, however. It does not appear that Cordelia ever married. Having nothing else to do this evening I thought I try my hand at writing. I am as well as usual & hope this may find you all the same. It has been a good deal of a winter’s day today. The ground is frozen & it has not thawed any but has been pleasant — just the kind of weather I like for winter. We are still under marching orders & I think we shall probably leave this place before long. Where we are bound, I could not tell but I have heard that the Capt. said he thought we would go to North Carolina. I hope we shall for I like to travel in Uncle Sam’s expense & see the country. I hear today that our corps (the 5th) have had quite a brush & been victorious. They have come back here again. I received that catalogue this morning. I suppose you have got the work all done by this time & ready for winter. We are having lazy times now. All I have had to do now for several days is just to feed & clean my team twice per day & water once, get my own meals & eat them. I think if my team keeps improving for a month to come as they have in the last month, I shall have as good a team as there is in the battery & they were skin poor when I began with them. The boys say they never see a horse improve as fast as one of mine (the one that kicked me) has for two weeks & he is as good a horse for business as a man need to ask for. The other is a good one but he is a little knee sprung so he stumbles occasionally. I heard the other day that there was agoing to be another wedding in town soon. The parties were Mr. E. W. Suffern & Miss Cordelia Chapin. That was the report. Ha ha ha. Wonder what I shall hear next. Better not keep anything secret. I am posted as to all such matters. It came from a good source. Wonder if I shall get any of that wedding cake. Then Deed had to have a new clock key. I thought it strange her having it but I can see the rat now. It hain’t quite time for the bonnet yet, I suppose. Tell her if he wants a pair of kids, I will send him my old ones. No wonder he could saw wood & the like. Who couldn’t under such circumstances. I heard not [that] she had begun to do his washing & [the] like but can see through it all now. Ha ha ha. I wish I was a veteran. I would enlist in Hancock’s Corps for five year for I can’t stand the pressure such doings as these. I suppose that Dud’s folks have gone by this time, bag & baggage. Tell Deed she had better take a pretty good dose of Ipenhanna [?] just before that thing comes off to keep her stomach from _____ing. Charley Lee has got back. He is considerable better but not well yet. Although he is doing duty, he is very weak yet. The rest of the boys are all well. ¹ Charles H. Lee —Age, 38 years. Enlisted, September 9,1864, at Bloomfield; mustered in as private, Battery L, September 9, 1864, to serve one year; mustered out with battery, June 17,1865, at Elmira, N. Y .